Check it out! 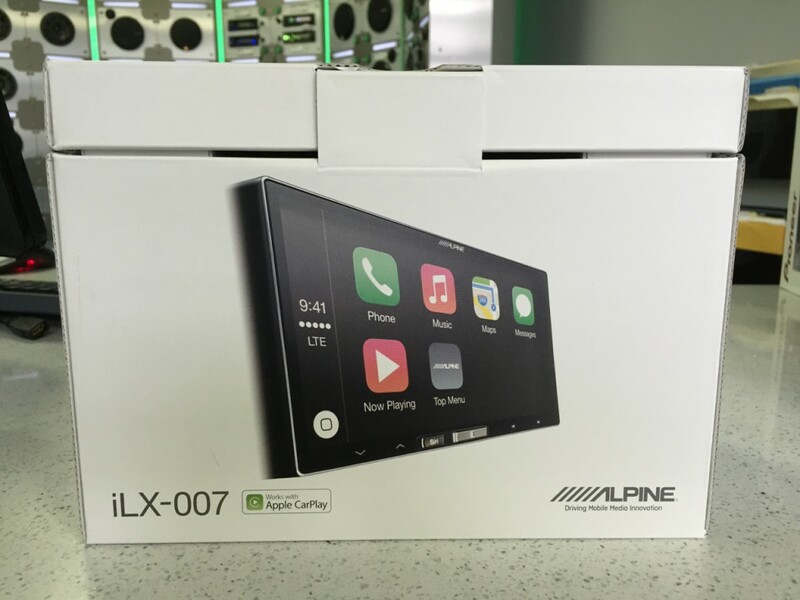 Today I received a couple Alpine iLX-007’s and I have to say I’m quite impressed – even with the packaging alone. This package would look fantastic under the Christmas tree. Even if you couldn’t install it right away, the packaging would keep you entertained for a couple hours. Look how small this thing is! It reminds me of Parrot’s Asteroid series, except the iLX-007 actually sounds good (unlike the Parrot Asteroid). That’s it. No secondary USB port, no HDMI port, no Bluetooth audio streaming, no SiriusXM capability, no HD Radio. Here’s the Pioneer ADT-VA133 mounting sleeve holding in the iLX-007 on my display board – minus the trim ring. Alpine says on their website the iLX-007 has a 9 band parametric EQ. I have a feeling this is only accessed using their Tune it App because all I could find in the menu was bass, treble, balance, fader and subwoofer level – aside from the preset EQ options. This supposed 9 band EQ feature is one I will be investigating further and I will update this post soon after. I will also be posting a video review up this weekend with comparison to the Pioneer AppRadio 4. Alpine iLX-007 Review – Lacks a proper EQ, but still sounds good. Okay, here’s the deal. It sounds better than Pioneer’s AppRadio 4. Even with minimal audio control, everything set to flat, the Alpine has more detail and clarity. Plain and simple, there is a very audible difference. I was pretty surprised honestly considering how much Pioneer has ramped up their audio control tools lately. The Pioneer AppRadio 4 just sounded muddy compared to the iLX-007. Kudos to Alpine on the sound quality on this deck. UPDATE – 10/10/14 – After an additional and much more thorough side by side comparison, I believe I may have had a setting off (like bass boost or something) on the Pioneer AppRadio 4. We turn off our sound board every night so these units typically default to standard settings. I have a habit of going through and making sure everything is set to flat, bass boost off, time alignment off, etc. but I think I definitely missed a setting the 1st night I got to take a listen to these two units. In fact, there is barely an audible difference. Extremely finite. For myself and my husband, we found the Alpine had an ever so slight edge in detail, one that would be hard to pinpoint in a blind listening test. They both sound pretty clean. Having hard buttons on this touch screen is incredibly helpful. The whole concept of CarPlay is to make your driving experience more enjoyable and safer. Having a hard button you can feel, recognize and then press to activate Siri makes a lot of sense. Siri had no problem with any of my requests. Siri responded by playing Daft Punk. Siri responded by calling my Wooshie. No problem. Siri responded with a list of several options in my area. Not that I’ll be indulging in pizza since I recently went wheat free and dairy free, but John’s Best is fantastic and right around the corner from me. Also right near by is the famous Frank Pepe’s Pizzeria which Apple Maps pulled right up for me. Siri quickly responded, “Okay, what would you like to say to Wooshie”. She then confirmed she understood me before sending. You can see Siri relayed my message “Testing” no problem. Although I think the bigger question I have is why does my “Wooshie” have me labeled as “Anne” in his phone book. Weird. It’s Annie in case you didn’t catch it by now. From texting to directions to phone calls to playing music, she did whatever I asked and she even did it on the 1st try. Now if only I could get my employees to do that. It’s weird to me that Pandora is not integrated into CarPlay, but you can trick it into playing by simply launching the app from the phone first then select “Now Playing” on the iLX-007. One quirk is the display doesn’t fill up the whole area when you do this. Details like this drive me nuts. The menu button is a nice hard button which makes it easy to identify while driving and quickly brings you back to your main sources (only 3, so not too hard to figure out). It’s also helpful in identifying the very handy Siri button. I need to do a little more investigating into the AUX feature. I see listed in the iLX-007 owner’s manual some information regarding operating the mobile digital TV receiver. Initially I couldn’t figure out why a mechless CarPlay head unit would require a parking brake wire connection, but this little feature could explain why. I will update this post as more information becomes available, but as of late tonight, I’m not sure what the DTV feature mentioned in the manual is all about. It appears this keyboard quirk is not limited to the AppRadio 4, but also effects the iLX-007. Sometimes when you initially bring up the keyboard it comes up like this. Other times it comes up full size. I *think* it only comes up small like this if you’re listening to Pandora, but I will need to do some more testing to verify the source of this keyboard quirk. 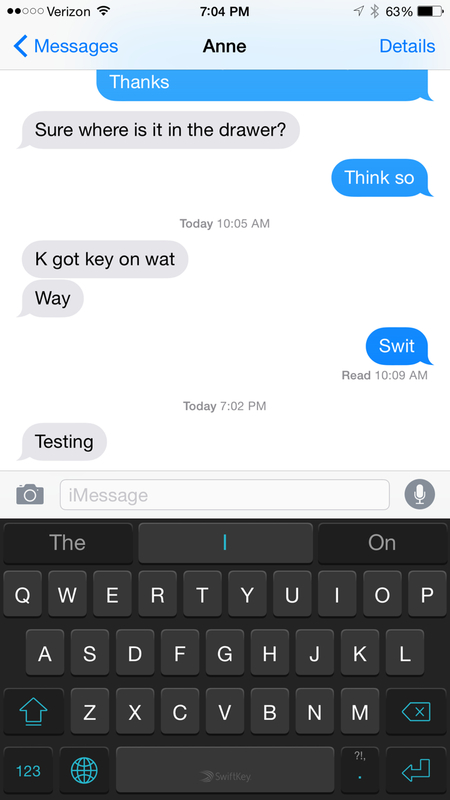 Here is the proper size on screen keyboard. Not that you really need to use it, Siri works really well actually. Yes there are some limitations, one of them being that you have to connect your phone, no Bluetooth wireless here. Having been doing this for the past 7 years in my own vehicle, I don’t think it’s THAT big of a deal, even for short trips. Just make sure you mount the USB port in a convenient location, like a center console as opposed to a glove box. No HDMI input, but really, you shouldn’t be watching YouTube and driving at the same time anyways. No secondary USB port that could support a dedicated iPod – This I find quite disappointing. 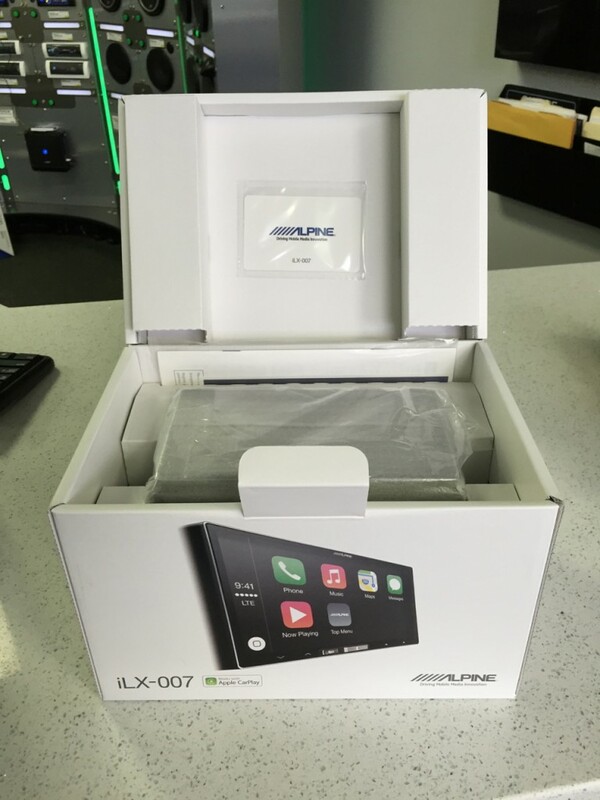 A lot of my customers like to leave a 160 iPod in their car just for music. With this stereo, you can’t even connect an iPod (unless you want to go through a headphone jack, but that’s not convenient at all). No mounting sleeve. I would say for 90% of the vehicles on the market, this won’t be a big deal. If ISO mount is not an option for your vehicle, pick yourself up a Pioneer ADTVA133 mounting sleeve. Works just fine. Although this model seems to lack fancy audio controls beyond Bass and Treble (unless the Tune It App presents more control), I was quite impressed with the overall sound quality of the iLX-007. I would have to say, it’s the better sounding CarPlay deck on the market at this point. Sorry Pioneer, a 13 Band EQ doesn’t really help if the sound is muddy to begin with. 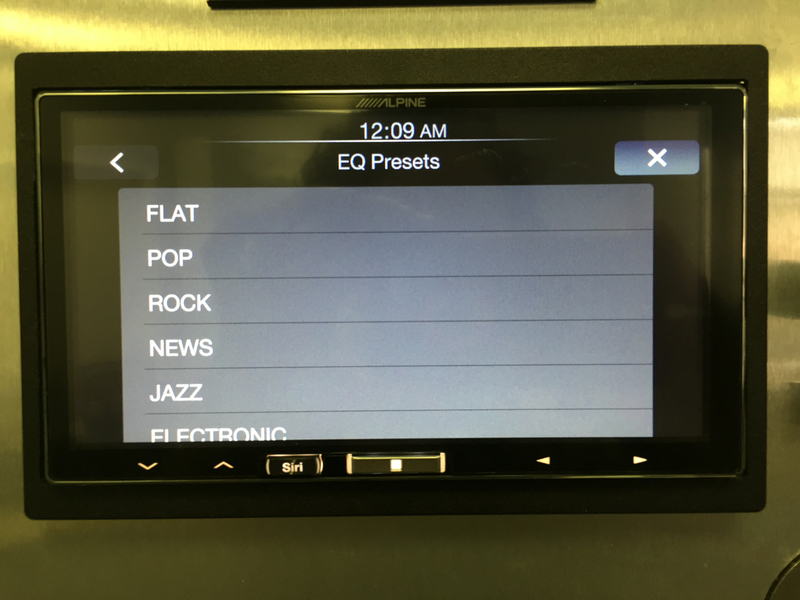 UPDATE – 10/10/14 – Tune It App does provide 9 band EQ and digital time alignment, it must be controlled through the app. Additionally, after a secondary and much more thorough side by side comparison, I believe I may have had a setting off (like bass boost or something) on the Pioneer AppRadio 4. In fact, there is barely an audible difference. Extremely finite. For myself and my husband, we found the Alpine had an ever so slight edge in detail, one that would be hard to pinpoint in a blind listening test. They both sound pretty clean. I think the Siri button on the iLX-007 is the best feature of this head unit. The fact that it is a hard button is what makes it so awesome. If you’re trying to focus on the road, you can feel your way to the Siri button and tell her what to do. This is a HUGE advantage that Alpine has with their CarPlay model. The lack of bells and whistles along with the precision focus of features on the iLX-007 make this model extremely straightforward and easy to use. This is the whole point of Apple CarPlay and I think Alpine nailed it. Subscribe to my YouTube channel and you won’t miss my upcoming video review of the Alpine iLX-007 and Pioneer AppRadio 4.
great write up. I impulse bought this at Best Buy last night, on sale for $299. was a little disappointed at the lack of BT, but otherwise seems a good unit. replacing a combination single din pioneer and Android tablet I have been using. 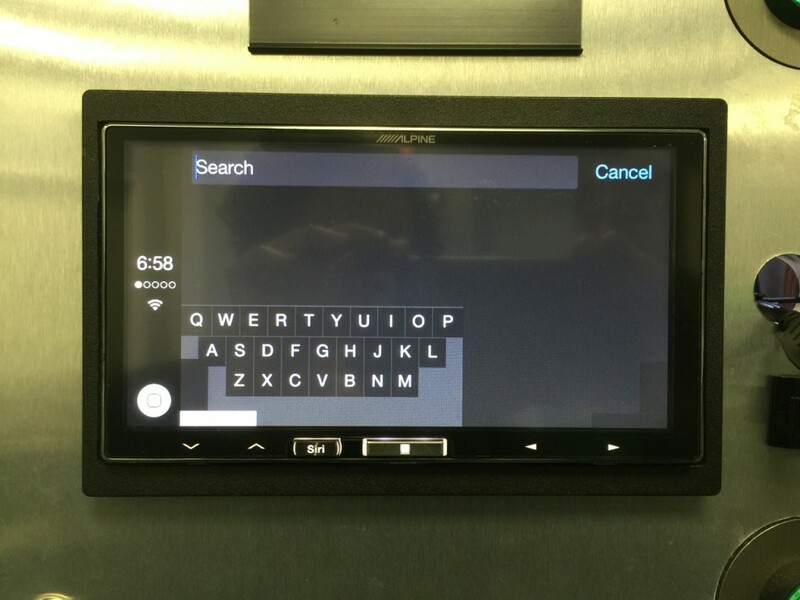 the concept of using a tablet for head unit is good, but problematic in real world application. 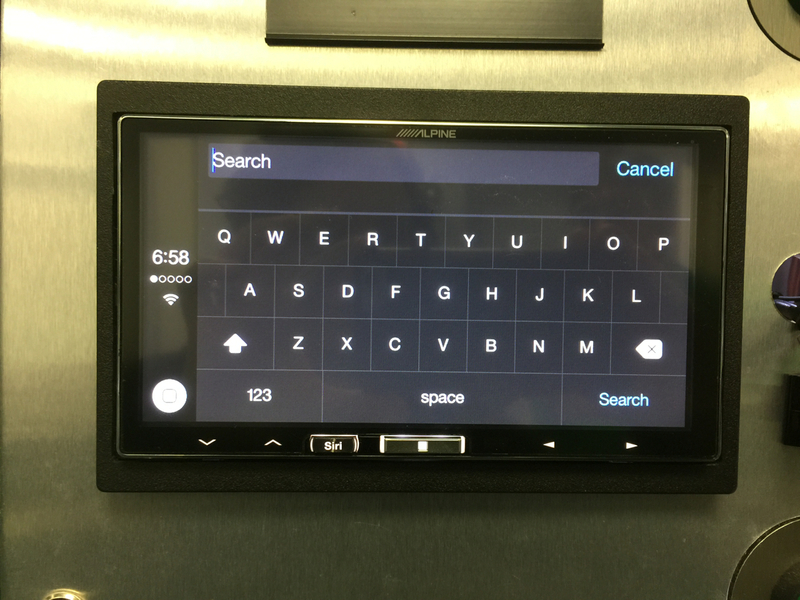 so you know if anyone has plans to come out with a android based head unit? similar to the Parrot asteroid, which is an abandoned platform? So far I’ve only seen cheap, no name brand, chintsy Android head units (stuff that customers brought in and had us install). 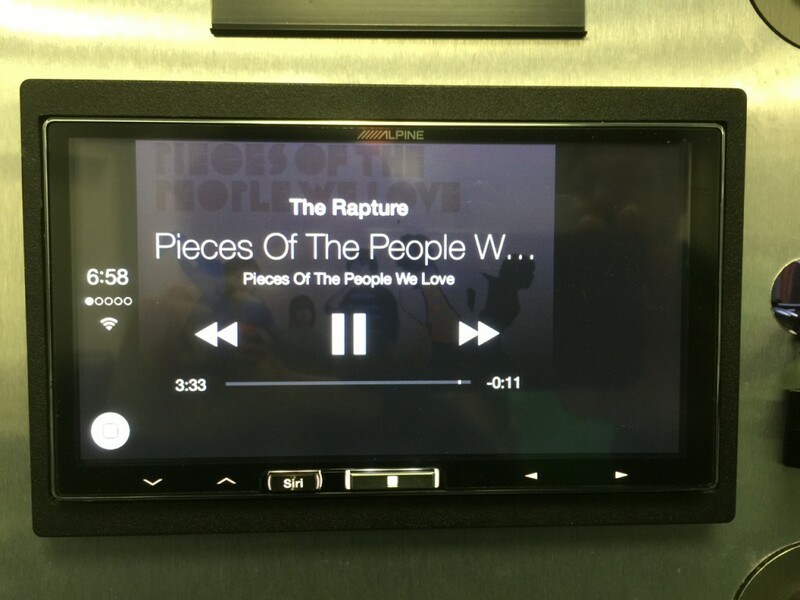 I think the Parrot Asteroid was a great concept, but I think there’s a liability issue there and that’s why we’re seeing more car stereo manufacturers create Android Auto compatible models (which is specifically designed for in car use) which is probably a lot safer/easier to use while driving than trying to swipe through pages of apps on an Android stereo screen. Alpine ILX-007 is $389 at Best Buy in Tucson, AZ. Just bought it last night. Might get another. No news about an update for the ILX007? No, nothing yet. Just emailed my rep again to see if he has any new details since we last spoke. 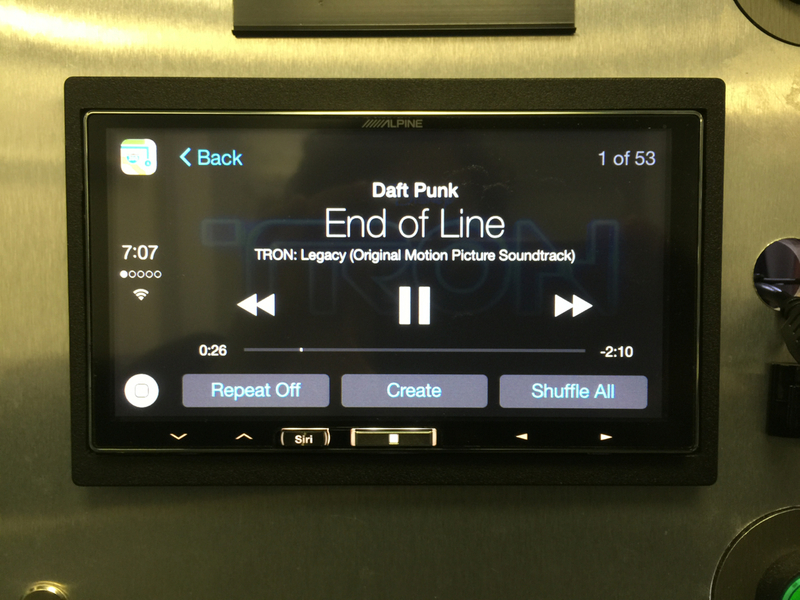 When you “trick” the this unit into playing sirius or Pandora by launching the app and plugging it in, can you control the app through the unit’s screen? No, not really. It will display what’s playing and I guess depending on the app you could skip tracks forward, but other than that you’d have to control everything else from the phone (other than volume). Just got this unit installed in my Scion yesterday and I am quite pleased. Annie is right, the packaging reminds me of how Apple packages iPhones. When will we see Android auto on this Alpine device instead of crapple? There are more Android phones on the market than apple iphones. I’m pretty sure you’ll never see it on this model, I think that’s going to be a hardware issue – same reason Pioneer was unable to offer a software update on their last year models to add the feature in. 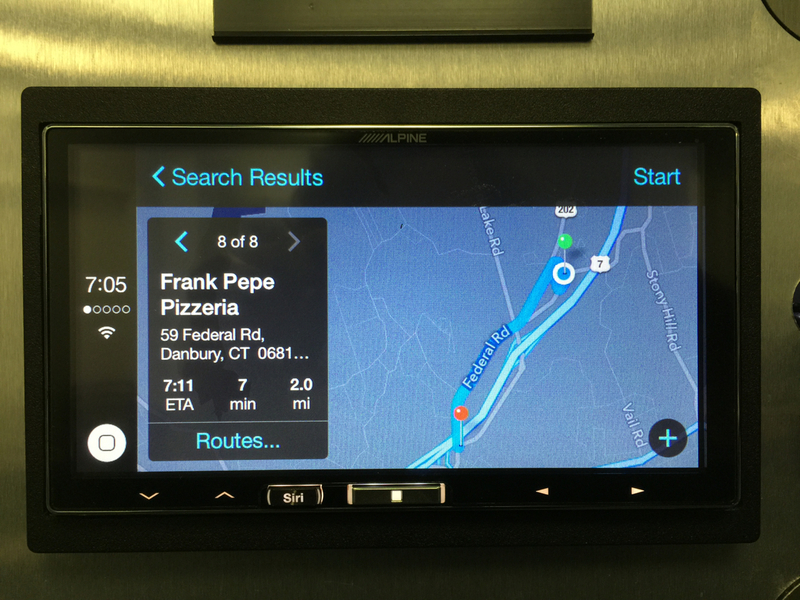 To my knowledge, Alpine has not even hinted about partnering with Android Auto. I don’t know if they’re working on something. If we see it in the future, I’m sure it will be a completely new model designed to support both. Hi Annie. Been trying to connect my ILX-007 with a TR-7 and a idatalink Maestro. The Maestro works great and steering wheel functions including Siri all work. I cannot seem to get the TR-7 to work however and hence no menus. I have connected black to black, red to red, Alpine’s blue/white to to TR-7 green, Alpine’s blue/yellow to TR-7 white. Do I need to hook in the blue/yellow and blue/white from the Maestro. At a loss for what else to try. Any help appreciated. You might have already figured it out but to answer your question: Black to Black, Red to Red, Alpine Blue/White to TR7 Green and Alpine Yellow/Blue to TR7 White. Sounds like that’s what you did. Did you ever figure it out? Sorry couldn’t respond sooner, busy, busy, busy at the shop. Have checked wires and still cannot get the TR-7 to work and menus to show up. Black is to black, red is to red, green is to Alpine’s blue/white, white is to Alpine’s blue/yellow. Hooking it up with a maestro rr. That part works great. Do I need to hook in the yellow/blue and blue white wires connecting to the maestro as well? Getting a little perplexed. Thanks for any wisdom you can provide. So Annie, do we know what type of USB DRIVE to connect to the ILX in order to change the opening image? with the Apple anouncement that iOS 9 would contain wireless carplay I emailed AlpineUK asking if there would be an update and got the following response. Actually I have an update on this from Alpine, I will be posting it soon – don’t lose hope just yet, I don’t see why the US solution would be different from the UK solution. Thanks Annie for your response! Ok, so you’re saying that for my privacy I’ll only can switch to my speaker phone but…. in which way? If I’m driving the car with a couple of friends and my wife is calling me, how can I answer the call using my iPhone just like not connect to the carplay? Can I simply pick up the iPhone and push the green button on its screen to answer using phone speaker? Speaking about the CAN conenctor I think it’s an input connector where you can put the output signal of the parking sensor in order to use the Alpine display. My car doen’s have the parking sensor so I just looking to understand if there is a third part product that could be connected to the Alpine with CAN Bus protocol. Not a big problem, just to understand. I just saw that there is a cable from the Alpine that has to be connected to the park brake… is it real necessary to connect it even if I don’t have dvd/video player conencted on the Alpine? That parking brake signal is required for some settings or some basic feature too? If yes…. would be possible to simply connect the Alpine cable to a +12V? Why I need a specific device? Ciao, and sorry for my terrible English! You would really have to disconnect the phone to do the private mode, that’s all. It won’t let you do private mode when you’re connected through the USB to lightning cable so simply disconnect when you need to take a call privately. Yeah, you really want the bypass, you really can’t do a lot without it and unfortunately it’s not as simple as sending power or ground to the wire, it’s looking for switched ground I believe, but we just use the bypasses because it’s a lot cleaner and easier. I think the reason they do it that way is the unit has an audio video input and they don’t want people hooking up a playstation or DVD player to it and playing it while driving. That’s really not how most people are going to use it, but they put it in there to protect themselves legally. Really thanks for all the info you give me! I was hoping just to connect the park brake wire to ground but from what you wrote me I think I’ll have to buy the bypass. thanks for the great review and info! 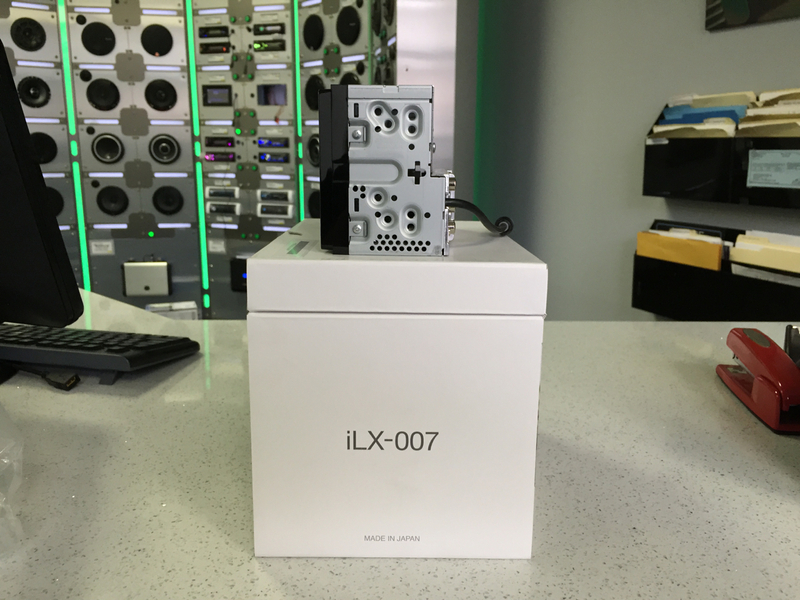 I’ve just ordere the iLX-700 (EU model) and can’t wait to have it at my home! – I have to mount it on a VW Polo 9N 1.9 TDI 2004: any suggestion? Have I to buy some adapters to “fix” it? – I saw a CAN input for the parking sensor and/or air condition: since my car hasn’t the park sensors… can you point me to a compatible kit to mount (CAN bus output)? – Is there any firmware update page for out Alpine? Thanks and… bye from Italy! Since you’re connected through the lightning cable, there is no privacy mode. You can switch to speaker phone, but that’s it. At least on our version the iLX-007. I’m not aware of the CAN connection, I think that might only be on the European model. If it’s for parking sensors and you don’t have them don’t worry about it, it’s just a feature you wouldn’t be using based on your application. 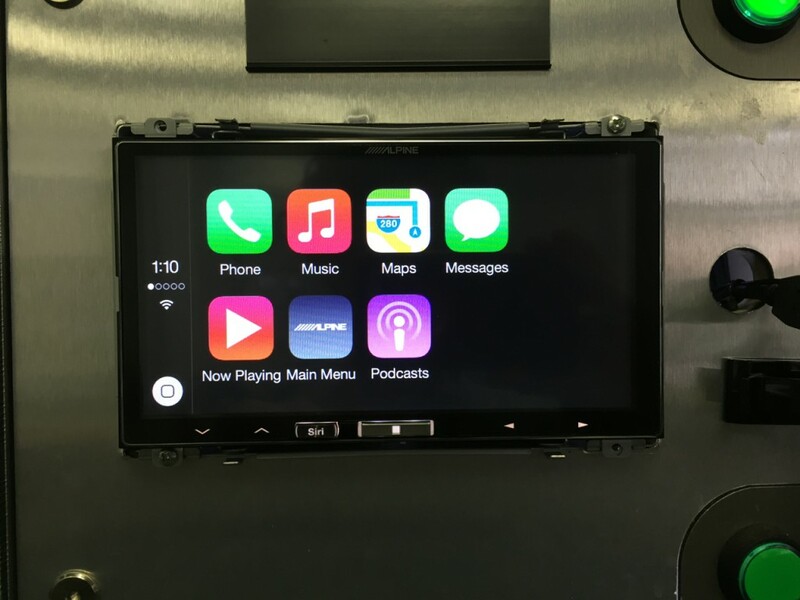 Looking at some google image search for your vehicle, it looks like you have a standard double din stereo. I can tell you the iLX-007 comes with a mounting sleeve and trim ring, I assume the iLX-700 will too. If that’s the case you will probably just need what we call a wire harness and antenna adapter. If you have the basic stock stereo (no steering wheel controls) this is what we would probably end up using in that car here, but I’m not sure what is available in Italy. If the car is equipped with steering wheel controls we would use something like this interface. I haven’t seen any firmware updates yet, but this is where you can check periodically for an update on your model. Thanks for reading my blog. Some day I hope to visit Italy! Ciao. 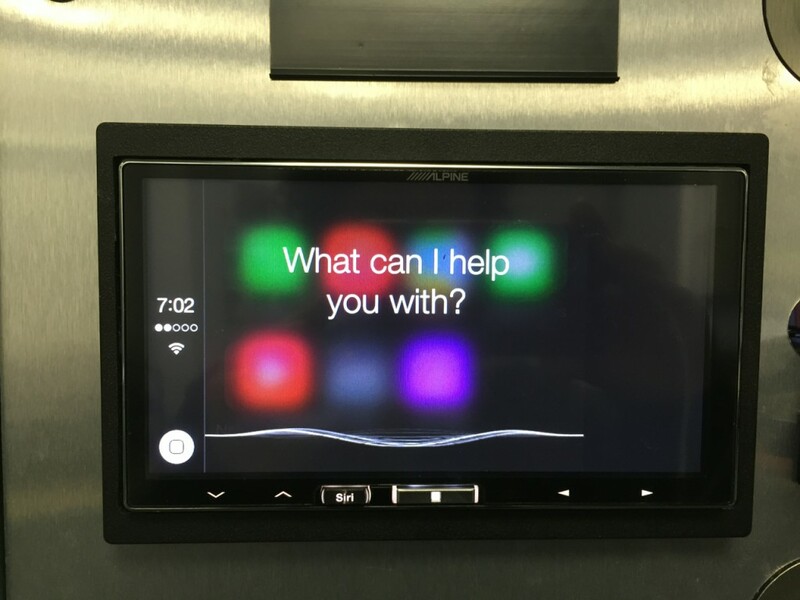 Would you have any feedback on real-world Siri usage on the iLX-007 (ilX-700, for some reason over here). I’m interested in the effectiveness of the noise cancelling of the mic. So far I’ve never used a voice system that I’ve not had a massive argument with! (but Siri seems way better than most). Thanks for posting such useful reviews. If I could buy from you, I would! Thanks for the comment, I’m glad I can help. I was not aware of the parking sensor interface – perhaps just a feature for the European model? Well to answer your question Siri is Siri. Sometimes she gets it, sometimes she does it and I mean that for when I’m just walking around using my iPhone in hand or when it’s connected in a car. I have not had customers complain to me about any CarPlay models and it is essentially the same technology among all CarPlay units. The head unit is really acting as a passthrough for Siri and I have found both Alpine and Pioneer microphones to be excellent quality (CarPlay or otherwise). I’m sure there may be some instances where she still doesn’t quite understand. In my own Honda Element, I have a Parrot MKI9200 with a dual headed noise canceling microphone, but that engine is so damn high pitch that the overall vehicle noise tends to interfere with any use of Siri. I think with a CarPlay unit and relocating my microphone directly above the steering wheel cover in front of the instrument cluster, I would have better performance. But I guess the point is it will vary based on interior cabin noise, vehicle speed, mic location and what kind of mood Siri is in at the time. Again, I have sold a ton of CarPlay head units, Alpine and Pioneer and have not had anyone with bad feedback regarding Siri. I hope that helps! If I get this to install in a 2012 Nissan Altima, will it work with the factory Bluetooth Mic and Rear camera? Won’t work with factory mic, mic’s have different impedances like speakers so generally speaking you want to use the mic that comes with your new stereo. Most likely reverse camera can be cut and spliced into standard video cable so can be used with new head unit. We do it all the time, I only came across one car where we couldn’t – 2013 VW Passat. Thanks Annie! Love your page and your videos, you are awesome! A few people have commented about “Opening Customisation” being greyed out whilst trying to change the opening screen. The response has been to ensure that the park break is connected. Mine is as all other menus are fine except this one… Anyone got any suggestions? Your right, the unit is very specific in how it works, my image was a few pixels out on the height, due to the constraints of the program I used to create it. 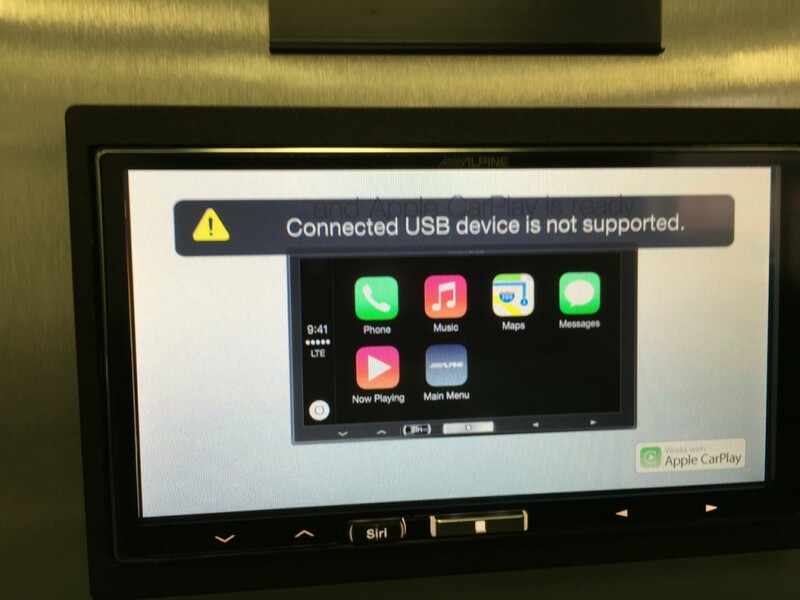 However, the head unit gave the error “Connected USB device is not supported” which was a bit misleading. Once I identified the error and corrected the image, plugging the memory stick then automatically launched the customisation process to over write the splash screen. In regards to people asking about wireless carplay I found this article. This person says that this device has no bluetooth but is wifi ready for carplay. 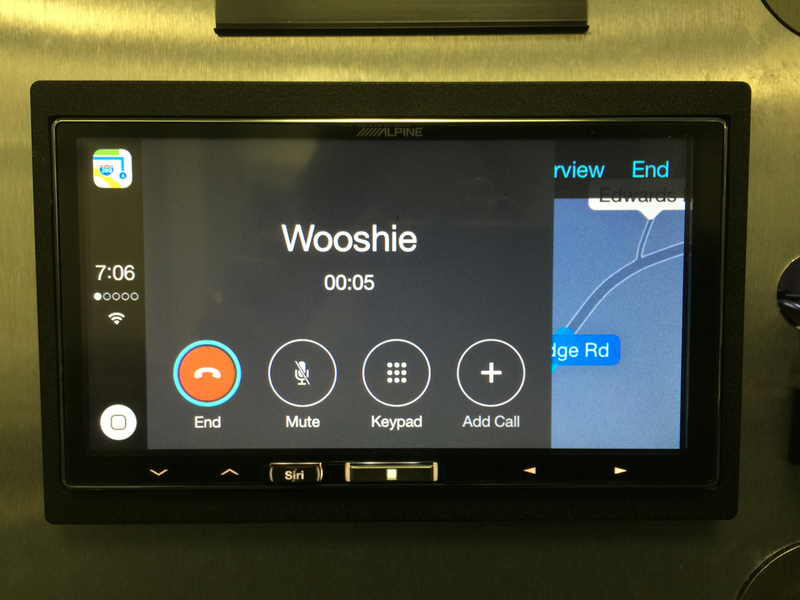 Here’s a more recent article from CE Outlook regarding wireless CarPlay. I’ve been suspecting since this model came out that there would eventually be a software update from Apple and Alpine to enable CarPlay to happen wirelessly. Pretty sure it’s only a matter of time before Alpine releases a firmware update. We’ll see. Any news of a firmware update from Alpine yet ? Holding off buying until I know wireless CarPlay works (for short journeys). No news yet. I will keep you posted. I just installed the unit in my truck. So far I love it, but there are a few annoying things. The album art is barely visibly in the apps when playing music. I have dimmer set to off so its the brightest, and even at night its not greatly visible. Any tips here or news of updates? Also, I haven’t been able to find too much out about the A/V Capability. 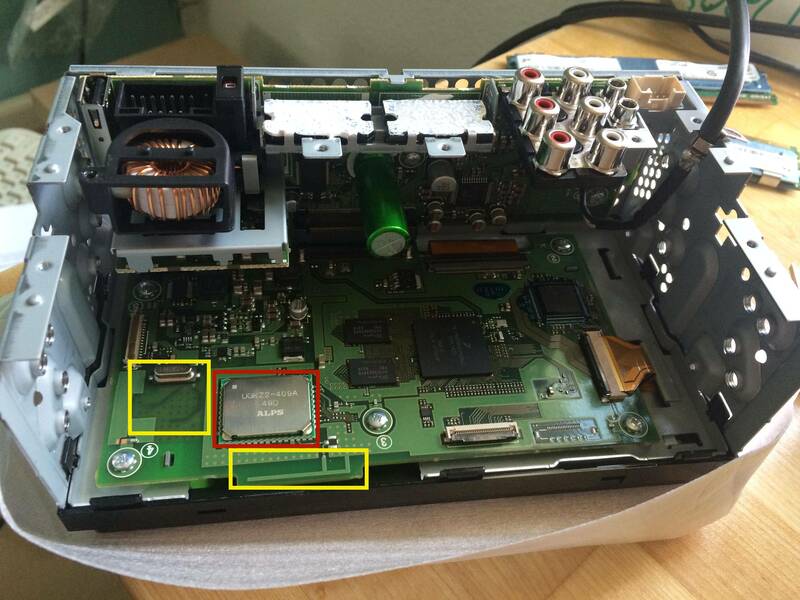 From what the manual says, you can hook up a dvd player using a Special* 4-pin AV to RCA cord? Has anyone verified that a normal 4-pin works or if it needs to be re-wired a certain way to connect to a dvd player? Yeah – I agree I wish the album art was more prominent in CarPlay as well. No news on any updates yet, but I think the next update will enable the wifi ability. As far as the dimmer goes – my understanding was this head unit was self adjusting. I think the dimmer being off just means it doesn’t dim when you turn the headlights on, but I think the head unit is still taking into account ambient lighting and auto adjusting. I could be wrong, but that was my understanding. A/V capability – if you look in the manual they’re referring to any standard 4 pole mini A/V plug like this. A query, I have the same equipment installed, but when I want to change the display settings, you leave me, I appear all locked controls, you can tell me it can be. Parking brake needs to be connected and applied OR you need a parking brake bypass. Yesterday Apple seeded the first beta version of iOS8.3 to developers, and, according to the MacRumors site (http://www.macrumors.com/2015/02/09/apple-seeds-first-ios-8-3-beta-to-developers/) it is going to support wireless Car Play connectivity, ” iPhones are only able to connect to CarPlay via the Lightning port. ” There are recurrent rumors that at some point the iLX-007 is going to acquire wireless capability. Maybe the “at some point” means when iOS8.3 is released to the general public? Has anybody done a teardown of the ILS-007 and determined whether it comes with Bluetooth circuitry installed? Yes Annie, I indeed forgot to talk about the audio quality on the forum, I’ll add that part. The sound with the Alpine is indeed much better than it was with the factory RNS-E unit, even before tweaking it with fader and equalizer. It’s richer and more enveloping, more enticing. I completely rediscover the Bose amp. Much more power too: I had to lower the pot settings on the HILO box of the Enfig harness (that controls the volume over fader) because the Alpine gives it the works. Over 35 volume levels I can barely go up to 15-17 max. I think it’s because the Bose amp is no more restrained unlike with the RNS-E which limited output. Finally got it! The Alpine ILX-007 is installed in my 2010 Audi TT with Bose, connected via an Enfig harness, a PAC SWI-CP5 programmable steering wheel control interface and a powered dual fakra radio antenna. I REALLY love it. Hey Julien – nice install and awesome write up! Thanks so much for contributing. I love the picture with your cat overseeing your project I’m glad you’re enjoying the new stereo. Yeah, you really need that or you could connect it properly to the parking brake wire in the car, but then you really can’t use anything unless the parking brake is engaged. This thing is a HUGE disappointment. No SAT radio support? No iPod support? No sleeve? I really hope alpine has another model coming out – higher priced, with these features. I don’t see why someone would buy this over the pioneer NEX-4000. Is this better than the pioneer??? Maybe because it’s a prettier/more vibrant screen? FYI the pioneer’s never come with a mounting sleeve or trim ring either, but they will play an iPod. Can you add a personalized splash screen (like the Nissan logo)? What types of “aux” devices can you hook-up to this unit? Can you hook up an iPod/MP3 up with headphone cables? Can one do video? You can upload a new splash screen, although I haven’t tried it there were some commenting somewhere on the blog about how to do it. The manual mentions how. The aux is a standard RCA A/V in, so you could use an RCA to mini jack to go into the headphone of an iPod or if you have an older 30 pin style there are adapters like this that do video as well. I was bummed that there’s no support for SiriusXM, which I rely on when I’m way out in the boonies with no cell service. Also, it doesn’t work with the iPad Mini? Awww. That’s where I have my truly unlimited data plan. The new restrictive data plans (I’m stuck with AT&T for a while) make this a whole lot less attractive. Sigh. image file from a USB memory device. BMP file to be copied to the unit. The Opening image is changed. I tried this with an 8GB USB stick and it was deemed unacceptable. I suspected the size may be a problem and went with a 256MB finding it worked. No idea about sizes in between the above. No choices were presented . . . it just did it. I used a BMP image and the naming conventions as specified without attempting any others. I am having trouble getting this to work. My smallest USB stick is 4GB, i formatted it to MS-DOS (FAT) as a 256mb volume with the rest free space. When I connect the USB stick and turn the key to ACC, after the alpine splash screen i am taken to the AUX input automatically, but I get a message saying the USB device is not supported. “USER” is still grayed out in the settings under opening customization. What am I doing wrong?? Sounds like the parking brake isn’t bypassed, did you install one of the micro bypasses or TR7’s? Jeff, do you have the parking brake bypassed? Certain settings and menu options are not accessible without that. Did you use a TR7? Also Tone Control => Bass and Treble control and some other things are greyed out in my Unit, do you know why? Hi Akash – probably has to do with the parking brake bypass, did you do that? As far as updates are concerned, if and when they are released you’ll be able to find them here on the support page. I have not tried to change the opening image, but in past experience when doing this with other models, usually needs to be FAT32 and a JPEG image. Also might have to do with the parking brake bypass, if it doesn’t see that engaged, it probably won’t let you change the opening image. Someone already asked this question but looks like flash drive is not supported. I was quite disappointed with that as the only troubleshooting they have suggested for that is to connect another USB device. It has a feature in which you can connect a flash drive and change the opening screen of ILX007. I tried formatting my pen drive in exFAT and NTFS both file formats but it wont recognize it. If you could get some information on this and keep me updated that will be great. Also I visited alpine-usa.com but couldn’t figure out how to find updates for the firmware for a given product. Thanks for taking the time to write up both this review and the AR4 one. Made it easier to make a decision on which to get. I went with the ilx-007, since I really had no need for all the other features of the AR4. Once I got the 007 in my hands, I installed it and everything went fairly smoothly (my first install) but I did run into some issue with steering wheel controls. I have the standard vol up/down, next/prev track buttons as well as a mute and a mode button. These all work as intended with an ASWC-1 converter installed. However, since this unit is supposed to be primarily used with Siri, I wanted to overload the ‘Mode’ button with ‘Push to talk’ to invoke Siri. I’m pretty sure I went through the correct steps with the ASWC-1 to reprogram this button, but the Alpine unit doesn’t want to accept the command. I was unable to find any details of this in either the quick start guide nor the user manual for the 007. Do you know if this unit supports ‘Push to talk’ or am I stuck with the Siri button on the unit itself? On another note, you mentioned previously that you were going to talk to the Alpine rep about future ‘CarPlay Wifi’ support, did you get a chance to do this? Curious what they had to say…. Yeah not sure where I posted that update or if I remembered to. My rep had very little information about it, in fact that’s when he told me it’s essentially a product designed by Apple with Alpine. He said it will be a future feature, but neither of us were really sure what it would provide since you can essentially use the iPhone as a wifi hotspot. Not quite sure on that. As far as the steering wheel controls go – you may want to contact Metra tech support and I’ll contact Alpine tech support and see what they say. I haven’t had a chance to try this yet as honestly no one has bought one yet in my shop. Everyone seems to go for the AR4 and I think that’s largely because they’re not sure they want to be locked in to Apple. I’ve always had an iPhone so I don’t see myself ever wanting to use something else. There was some mention somewhere in the comments on this blog of someone using a PAC SWC interface for Siri. 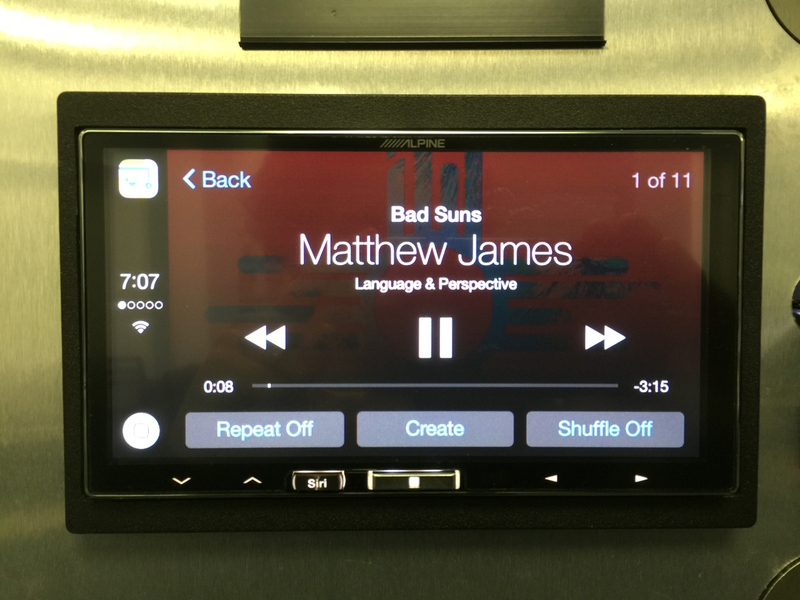 PAC Audio does have a more detailed install guide which you can find here. However, no matter what car I look up, I do not see “Push to Talk” as an option for Alpine. Just “End Call” or “Receive Call”. It may be a new command though. I’ll have to check with Alpine tech support and see if there is actually a Siri command output on the SWC from the Alpine stereo itself. Would be silly if there wasn’t. I am also interested in having push to talk activate Siri. So maybe when Apple offer CarPlay over Wi-Fi, Alpine will activate the Wi-Fi chip in the ILX through a FW update, and then we all could receive and send calls and text messages over Wi-Fi without having to plug the iPhone. Hence no need for Bluetooth. I hope it’s what they are planning. Very interested in setting up this option…PTT = Siri should be a no brainer. Suspect Alpine just needs to let the third party contollers know the code and then it would require a firmware upgrade to the controller. Hopefully Alpine will come through with their end as they always seem to be the bottleneck. 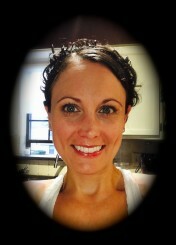 Please keep us informed Annie! Alpine tech support did say it has Siri output for steering wheel controls. Lately I’ve been using the SWI-CP5 from PAC which is very flexible in programming and allows you to do double tap for additional controls (kind of like the iDatalink Maestro SWC). I haven’t yet tried it, but if I was going to use the iLX or AR4, this is the SWC piece I would use to try and program Siri. It’s remote starter season here so I haven’t really had the opportunity to try it! So Alpine confirmed the possibility, and PAC confirmed it too. A future software update for the CP5 will add Siri to all select vehicles with the push of a button on the steering wheel, even if the car lacks the factory Siri Eyes-Free feature. Good news. When I hot the hard menu button, my 3 options come up. When I try to adjust settings, audio is the only one I can select. I can’t hot display of the other 2. Does anyone know how to fix this? This happens because the hand brake isn’t on, or he wire isn’t connected. A required safety feature. You can bypass with TR7 as discussed in these comments. I think the alpine harness is missing brake wire ??? You can just follow the instructions that comes with the TR7 for Alpine and leave off the foot brake wire. You can find them here if you lost the little insert. So From the TR7 to the Alpine you’ve got Black to Ground (Black) Red to Switched Power ACC (Red), Green to Remote (Blue with White stripe), White to Alpine parking brake wire (Yellow/Blue). Enjoy the head unit! Thanks Annie! About to install this right now.. I was able to play movies/videos from an old 30 pin dock connector iPad (likely would work on an old iPod and iPhone as well) using the Apple cable (30 pin to RCA connectors) and a 3.5mm break-out cable using the AUX port on the iPX-007. I don’t think this can be done using the newer devices with lightning ports. I’d think anything using RCA type outputs would work as well; but, haven’t tried. Thanks Steve, I have looked into this and I also don’t think it can be done with the new lightning ports. Since the output is digital, you need some type of digital to analog convertor. The only way I’ve been able to get audio and video out of a lightning port is with either an apple lightning to digital A/V adapter (the one with HDMI) or lighting to VGA adapter and the head units have to support either the HDMI or VGA and not all of them do (the iLX-007 doesn’t). Does the music resume once you connect the iphone? Yes, that’s how I get Pandora to work, I start it on the phone then select now playing. You can actually control tunein radio from the head unit and search all music on the “iPod” portion of your iphone which is nice. I just installed an iLX-007 in my F-150. Went well. At first, I was perplexed that all of the menu items, except audio, were greyed out. I discovered this whilst trying to turn off demo mode. I had not connected up the parking brake wire and expected that was the issue. I looked into how to bypass it and experimented. I ended up wiring in a momentary push-button (normally closed) and connected the parking brake wire to ground through the push-button. A simple press of this button does the trick. I think it’ll be pretty rare that I’d need access to any of these menus; but, found this easier than actually connecting the wire where it should have been connected. Thanks for answering some reader questions, I appreciate it! 1) In my 2012 Mazda3 with the Alpine Steering Wheel remote kit installed the “Mode” button on my steering wheel works the best — switching back and forth between Alpine Radio and Carplay. The Alpine physical “Home” button does a very similar thing. 2) Yes you can still navigate your iPhone while Carplay is in use and in fact this is how I normally restart my podcast player playing after turning on my car (after my Pete’s morning coffee stop). I am sure that dialing from calendar would work as you suggest. Hi Paul. Are you saying that if iLX-007 is displaying maps or music for example, the iPhone screen can be displaying something else? I hoped this was the case, awesome if so. I use Dash Command app with a Kiwi Wifi PLX to give my older vehicle trip computer and other gauges on the screen of the iPhone 6 Plus in a landscape orientation mount just above the double din space I plan to fit the iLX-007. Very cool. I had feared and assumed iPhone would display a grey ‘CarPlay Active’ display and become non functional when tethered. Paul does you Mazda have the Voice button on the Steering Wheel? If so, are you able to get it to activate Siri? I did talk to Alpine tech support and they said this model does have a Siri output on the steering wheel controls. I would use one of the newer PAC Audio interfaces that allows for easy re-mapping and easy programming, the SWI-CP5. Thanks for the review. 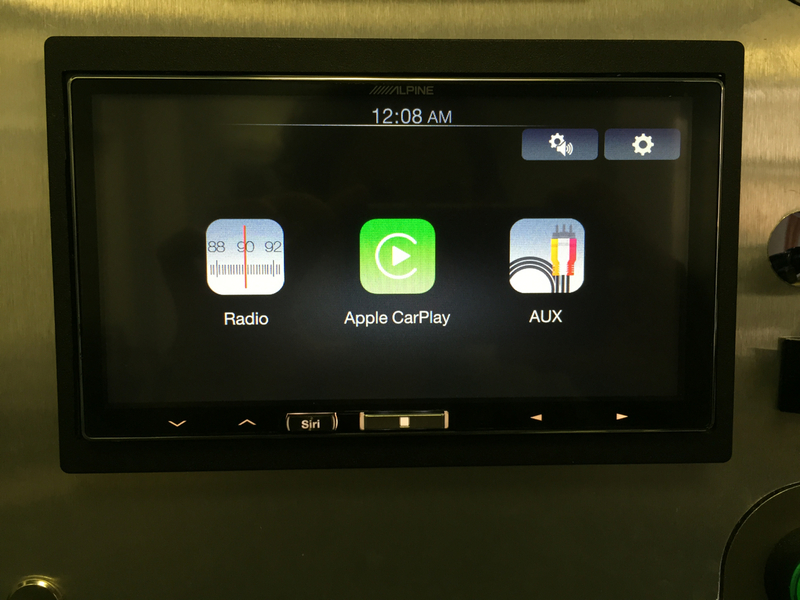 Two questions regarding the use of carplay which may not be specific to the Alpine unit. 1) is it simple enough to tune to a AM / FM radio station through car play? Sometimes you might just want background music or a local traffic report? Or do you have to switch out of carplay mode. 2) can you still access other apps on the phone while plugged in? I often find myself dialing into conference calls from a calendar invite (when someone has formatted the number properly). I would hate to lose to ability to access other apps while in the car – even if they will not display on the head unit. 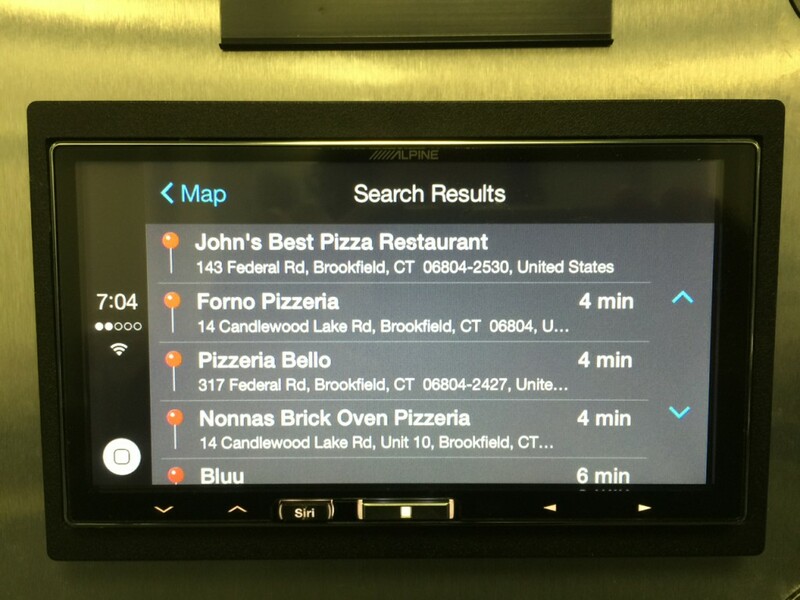 First, Radio integration is excellent and far exceeds what Pioneer did with app radio. You can listen to radio and have voice guided gps routes. Alpine ‘ducks’ the radio audio while Siri gives the voice guided directions. Second, I’ve been able to launch WebEx and get into conferences by clicking properly formatted iCal and email events. Actually, the CarPlay wifi feature is a planned way to connect your phone over an adhoc wifi network instead of a cable. This would allow the needed bandwidth to push CarPlay that bluetooth currently cannot support. Who knows if this will actually come to fruition though. I have not seen anything from Alpine which lists “Carplay Wifi Ready” with regard to ILX-007. Do you have any further information about this feature and whether it might be “turned on” later with a firmware upgrade (assuming a wifi chipset has been included in the design)? I’m pretty sure it’s in regards to tethering off the cell phone for use of CarPlay apps. In the video that I just posted to YouTube (and will be posting shortly to the blog) you can see my phone is connected and you do see the little wifi symbol on the screen. Kenwood used very similar terminology with their head units that tethered off your phone for internet access, but I doubt we’ll see an internet browser ever added to CarPlay. Unless it’s entirely controlled through Siri, just seems too dangerous. Nice article. Looking forward to video. Please show some non CarPlay menus/settings if you can! Can’t you just ground the parking brake wire since their is no foot brake wire? Works with the kenwoods like this? I thought I could just do that, but I called Alpine tech support before and explained I was wiring it up for my board and he said it does want to see a switched ground. It gets pretty busy at the shop, so rather than trying it and seeing what happened (or throwing in a toggle switch in line) I used a TR7. This way it works every time. Nice review do dar. Looking forward to video. Hope you can show us some menus or settings without CarPlay as well. Can’t you just ground the parking break wire since their is no foot brake wire? Is the tr7 really needed just for one parking break wire? All the kenwoods work like this. Thanks. I don’t know if the picture shows the real Alpine interface or the SpeedSignal one, if they are distinct products, or maybe SpeedSignal designed the interface for Alpine which then sold it under their brand under a different name. Alpine is the only brand that I know of which retain information sent to the Driver’s Information Display (DIS) also called Multi-Function Display (MFD) on some of their head units. For readers of this blog that wouldn’t see what I mean: the DIS/MFD is that little monochromatic screen that fits on top of the dashboard or behind the steering wheel between the speedometer and the tachometer in some cars. It delivers basic information like the name of the song you’re listening to or of the person you’re calling, the gear engaged, etc. To achieve this, a proper steering wheel control interface compatible with this capability must be connected to the Alpine head unit. Usually, other aftermarket HUs can’t retain this info and all you can see on the DIS/MFD after the upgrade is the air temperature outside. Those two videos are for Audi cars, but other interface references for a lot of car makers are also available. So here is the question: Not all Alpine HUs offer this feature. 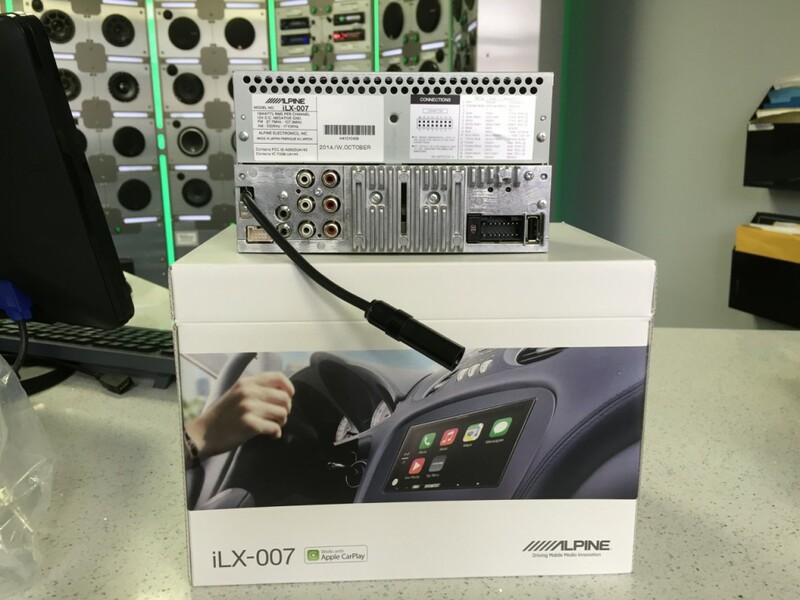 Is the new Alpine ILX-007 compatible with DIS/MFD info, through a proper SW interface? Awesome question! Thanks for that post, I totally learned something new today. That’s so cool, I had no idea anyone made such an interface (and I buy and sell imported steering wheel control interfaces from Paser). I can see in the one video it’s kind of like an Alpine INE-W940 or INE-S920HD, but they do list a slightly different model number than US version. I couldn’t really gather anything from that so I did an image search on that part number and found this picture of the actual product which tells me the answer is no. See that little Blue Alpine looking plug? Kind of looks like the end of their older iPod connector, the KCE-422i? The iLX-007 (at least the ones released in the US, can’t speak for what they release elsewhere) do not have that plug. In fact, none of the newer Alpine’s have that. I think it’s what they were using on their Marine radios. The Marine Wired Remote they used to offer, the MC-20, had the same style blue plug and that was relaying the same kind of information only to a small LCD display for the Marine Remote itself. Julien – Check this out! 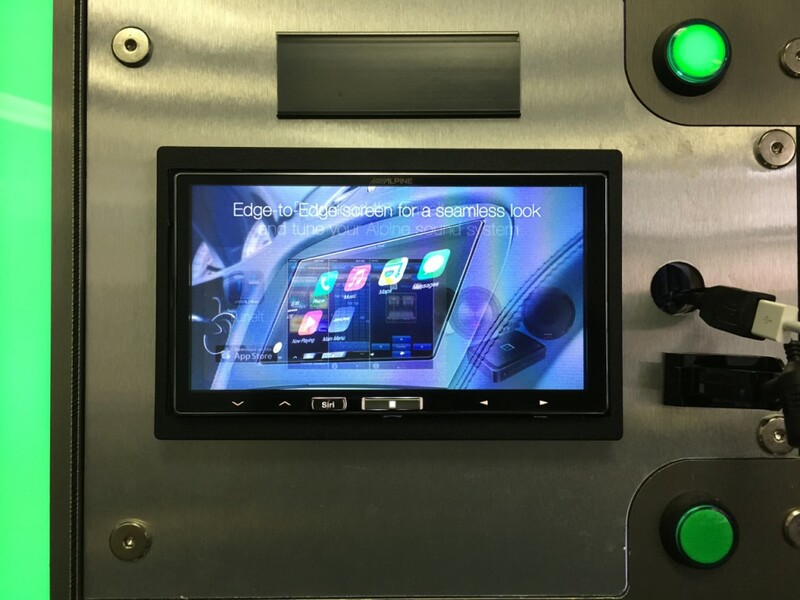 This company iDatalink recently introduced software for their Maestro Steering Wheel Control interface for VW which retains instrument cluster display information! Maybe it’s only a matter of time before we see it for Audi? Now the only other thing we need is for Alpine to update their product to support this feature. The iLX-007 will work with the iDatalink Maestro, but it does not retain the cluster display – Pioneer’s App Radio 4 on the other hand does. It’s all about software, so hopefully they’ll have an update to support it. I’ll find out more at CES next week. They’ll be lots of new posts and information to come! Thanks for the write-up! Do you think your initial impressions of the Alpine’s sound quality are a result of the Media Xpander feature? I didn’t catch any mention of that in the article. 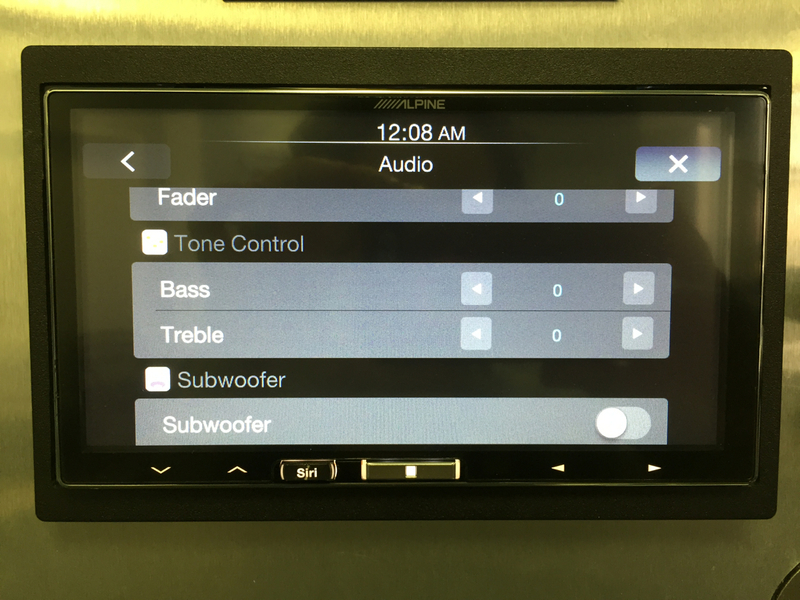 Regardless, it sounds like the Alpine helps deliver the goods on the primary function of a car stereo – music reproduction! It may lose out on features, but SQ should be weighted heavily in the comparison. That’s a great question. When I compare sound quality between head units I leave everything flat – bass and treble zeroed out in the middle, bass boost off, Media Xpander off, etc and just try to listen to the quality of the built in digital to analog convertor. Initial impressions are the iLX-007 definitely has a more accurate digital to analog convertor and higher quality than what’s in Pioneer. It has more detail to it. As far as additional EQ features go that I wanted to investigate, I was pretty slammed today so I didn’t have a chance to follow up and try the tune it app to see if that reveals an actual 9 band EQ. I will have a follow up on that by the weekend. In general I try to leave things like Media Xpander off. Unless you’re listening to something that’s REALLY compressed and super poor quality, like music off of YouTube or SiriusXM, you generally want to leave that feature off (FYI SiriusXM transmits around 32 kbps, lots of frequencies lost in that kind of compression). Thanks for the comment! Any idea how the firmware update to the iLX-007 will work? When I connect a USB thumb drive with some mp4 files on it I get “unsupported usb device”. Any reason to believe my device would be “supported” if it contained a firmware update image for the 007? Yeah I noticed the “device not supported” when simply plugging in an iPod. That’s a great question, I have no idea. I haven’t heard or seen any information regarding any firmware updates thus far. I imagine there will be something in the firmware that allows the stereo to recognize that it’s a software update. I know for example in previous Alpine models you have to first tell the unit you’re performing a software update in the menu and then it prompts you to insert the USB drive and THEN it recognizes it. My guess is it will be something similar. Question: I’ve noticed several people with Pioneer NEX Carplay complaining that phone call sound quality sounds tinny and inferior to their Bluetooth connections. Did you notice this at all on the Alpine? Yes that micro bypass does the same thing as a TR7. FYI the TR7 is already programmed for Alpine and Pioneer, but technically you could re-program it to do other things. However, the TR7 is physically bigger than that micro bypass and has additional wires that won’t be used in the Alpine application. Thanks for the comment! I can’t get a keyboard to come up in any app with or without the parking brake on. Hi Nick, did you actually connect the parking brake wire to the vehicles parking brake wire? If not, it’s not going to work. Or you can do what most people do and buy a TR7 and bypass it so it works all the time.